The conclusion to the Jason Bourne trilogy, The Bourne Ultimatum does not disappoint. An action-packed joy ride filled with breathless chases and ruthless violence in international settings, the film places an exclamation mark at the end of a high calibre modern spy story. Jason Bourne (Matt Damon) is still on a mission to understand his own past, reclaim his identity, and confront the CIA superiors who turned him into a ruthless assassin engaged in black operations. Equally determined to stop him are CIA Deputy Director Noah Vosen (David Strathairn) and CIA Director Ezra Kramer (Scott Glenn), who just want Bourne to be terminated to tie up the one remaining loose end with the illicit Treadstone and Blackbriar operations. 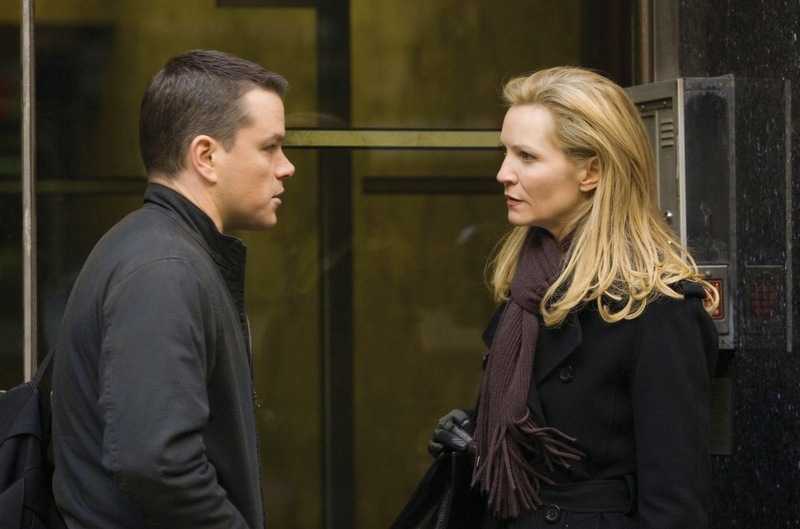 CIA Deputy Director Pam Landy (Joan Allen) is also brought in to try and snare Bourne, but she is more sympathetic to his cause. Bourne keys in on British journalist Simon Ross (Paddy Considine) who is receiving information about Blackbriar from a source within the CIA. Bourne connects with Ross in London in a meeting that ends with a CIA sharpshooter taking out Ross in a crowded train station. The trail leads to Madrid, where Bourne reconnects with agent Nicky Parsons (Julia Stiles), who sides with him as they make their way onto Tangiers to track down the CIA source. There are more merciless assassins in wait, but Bourne doggedly makes his way to New York, to confront his past once and for all. The Bourne Ultimatum sticks closely to the formula established for the franchise. Plenty of grim action, spies mercilessly chasing spies, hitmen galore, incredible stunts and feats of human durability, and the shortest possible narrative scenes to provide the action some structure to hang on. It's predictable, highly kinetic, and for this series, it works. Almost everything in Ultimatum was seen before in Identity and Supremacy. The car chases, foot chases, motorbike chases, close-quarters combat, surveillance and panic in the streets are all here. Supremacy director Paul Greengrass returns for the third installment and polishes everything to a shine, the tension always high, the stakes for Bourne and his CIA controllers a matter of life and death, or for the higher ups at least a matter of saving a career and avoiding Congressional hearings. With a story, style and characters that were never going to be blessed with the gift of originality, Greengrass pushes all the elements to the edge of credibility, and sometimes beyond. With each successive brush with death Jason Bourne appears to take on indestructible qualities, shrugging off his bone rattling injuries, instantaneously losing his scars and proceeding to travel effortlessly between countries and infiltrate the most secure of secretive buildings. 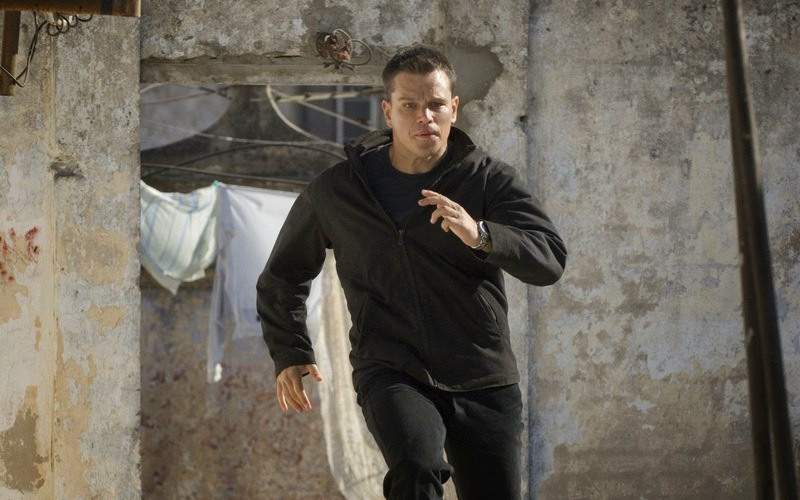 In one frantic foot sequence through Tangiers, Bourne jumps three or four times off of balconies and through apartment across the street, seemingly equipped with the ability to sense his enemy's movements through buildings several blocks away. The climactic carnage of the now mandatory car chase should be enough to a least send Bourne to the hospital for an extended stay. Instead he emerges from the wreck of what used to be his car unscathed, pointing his gun, ready for the next round. Stylistically Greengrass finds the limit of his love for micro-edits, shoving the hand-held camera wherever it will shake the most and closest to the action, and then editing every chase and fight with the sharpest possible cutting. Greengrass doesn't so much capture the action as allow his cameras to be pummeled by the brute forces in every confrontation, challenging the eye and the brain to keep up. The effect walks the line between heart-pounding exhilaration and stomach-turning nausea. The cast of veterans get on with the job with minimum deviation from the standard "this is serious" emoting. Matt Damon glides through the film fending off bad guys with the cold efficiency that comes with the certainty that the story only ends when the lion's den is infiltrated. David Strathairn, Scott Glenn and, late in the game, Albert Finney form the triangle of men with secrets that need to be defended at all costs. Interestingly, Bourne is only ever helped by women during his Ultimatum adventure, with Julia Stiles and Joan Allen reprising roles from earlier installments and lending a more sympathetic ear to the man searching for the solution to his own mystery. A suitable ending to a thrilling trilogy, The Bourne Ultimatum tidies up the story with another jolt of frenzied excitement.